Raffle tickets ($10) for the brook trout by Thom Glace to benefit the Pennsylvania Fly Fishing Museum will be available at TCO this weekend. Framing provided by Smith Custom Framing. Thom Glace will be painting at the TCO Outdoors store in Boiling Springs, Pennsylvania on the weekends of December 15th – 16th. He will be working a new watercolor painting and will have numerous prints and originals for sale. We will be providing hot cider along with other refreshments and yuletide cheer. Glace has become the premier watercolor artist in the country specializing in studies of fish, dragonflies and birds, His work now appears in galleries and shops in Montana, New Hampshire, North Carolina Outer Banks, Gettysburg, Boiling Springs, New Cumberland, Millhiem and Camp Hill, Pennsylvania. He has participated in art shows and exhibitions throughout New England, Texas, Virginia, Maryland, West Virginia, New York City, North Carolina and Pennsylvania. He has been featured artist in Harrisburg Magazine, Montana Trout Magazine, Southern Trout Magazine, Fly Life Magazine, Fly Dreamers, Mid-Atlantic Fly Fishing Guide, MidCurrent Publications, Virginia Wildlife Magazine. Thom was 2016 Artist of the year for Tenkara USA Magazine. Thom was named the Festival Artist for the 2014 Virginia Fly Fishing Festival. In 2016 and 2017 Thom Glace was the Festival Artist for the Cape Lookout Albacore & Redfish Festival in Moorehead City, NC. 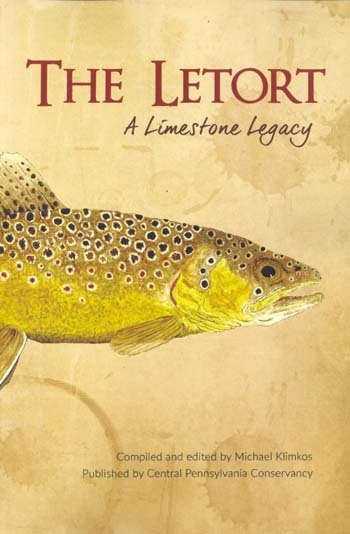 This weekend you can advantage seeing Thom set up in a “live demo” studio at the Boiling Springs, PA TCO fly shop, get an autographed copy (Thom and author) of the book The Letort, A Limestone Legacy and enter a raffle to benefit Pennsylvania Fly Fishing Museum and win a framed brook trout. Thom Glace website . . .